After a legal battle lasting more than three years, Simon Birkett (as Founder and Director of Clean Air in London) has succeeded in forcing the Government to release – just hours before the London Mayoral and London Assembly elections – a fourth tranche of information that discloses finally all but three sentences of detailed ministerial briefing papers. The First-tier Tribunal approved a Consent Order between the parties on Tuesday 1 May. These papers relate to a meeting that took place on 22 January 2009 between Lord Hunt, Air Quality Minister of the Labour Government, and Boris Johnson to discuss air pollution in London. Simon Birkett, backed by Friends of the Earth’s Rights and Justice Centre and assisted by top barristers Gerry Facenna and Laura Elizabeth John of Monckton Chambers, has fought for access to these papers under environmental information laws. The case involved an appeal to the Court of Appeal on an important technical point which set valuable precedents for future requesters across the UK. Its release in 2009 would have contributed significantly to public understanding on an important matter of environmental protection i.e. the Mayor’s planned removal of the western extension of the congestion charging zone (WEZ). The Labour Government was looking closely at its ability to use Powers of Direction under the Air Quality Standards Regulations 2007 to force Boris Johnson, as Mayor of London, to stop his planned removal of the WEZ or mitigate the impacts of doing so. We now know that Powers of Direction to meet the UK’s national objectives [for air quality] had been applied once in the past to Birmingham City Council which refused to report to central government on local air quality and the Government’s considerations about using them again. The legal duties Boris Johnson should have complied with when developing his Air Quality Strategy that was finally published in December 2010. 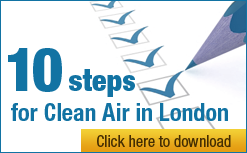 Note: The UK’s reapplication on 11 May 2010 for a time extension until June 2011 to comply with legal standards for dangerous airborne particles (PM10) assumed that Phase 3 of the London low emission zone would be postponed until 2012 but not that the WEZ would be removed. Note: Under the Environmental Information Regulations (EIR), all information must be released unless it is the subject of an exception in which case a public interest test applies. The failure by Defra to disclose the material in timely fashion has directly affected Simon Birkett’s ability to press for action to address the significant air quality problems in London. The Government conceding before the Upper Tribunal that the Information Commissioner’s Office (ICO) and First-tier Tribunal can use their case-management directions or decisions to limit the right of public authorities to ‘rely as of right’ on a different exception or exceptions for refusing to disclose environmental information in proceedings before the Information Commissioner and/or First-tier Tribunal. Confirming the need for public authorities to reply before mandatory deadlines under the EIR or face the failure to do so being declared unlawful. The ICO had chosen not to participate in the appeal. Lord Justice Carnwath’s comment suggests that future requestors may achieve stronger rights in the UK under the EIR. “It is astonishing that Defra has refused for more than three years to release this information, no doubt at immense cost. “Releasing the information in a timely manner in early 2009 would have helped Londoners understand the Labour Government: wanted to comply with air pollution laws; and was looking seriously at its legal powers to stop Boris Johnson taking backward steps on air quality measures such as the western extension of the congestion charging scheme. ‘Access to environmental information laws’ are powerful, particularly when a request relates to harmful emissions to air. The case had been referred back to the First-tier Tribunal to be heard in June 2012.